Moving 1,000 miles was not the way I anticipated kicking off 2017, but hey, not much about the last year has been predictable. So when my husband received a new job offer in January, we found ourselves relocating from Colorado to Austin, Texas, in a few short weeks. Austin has a well-established kidlit community, and I was lucky to have a few friends here already. But still, it was hard for me to leave Colorado, where I had strong bonds with local authors, indie bookstores, and librarians. Now—and with a brand new middle-grade novel on the way—I needed to start all over again?? Yep. But a few steps I took made the landing much softer than it could have been. 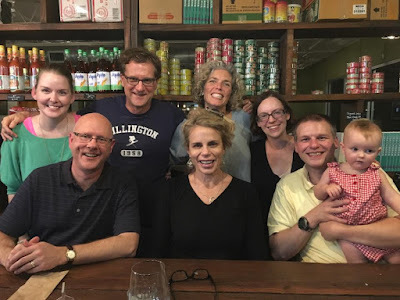 Here’s how I linked up with the writing, bookselling, and library communities in my new hometown—tips that I think would also apply to debut authors looking to get more connected wherever they live. An Erin Murphy Agency gathering in Austin with authors Dan Richards and Lindsey Lane, along with Tara's husband and daughter, standing: agent Tricia Lawrence, authors Sean Petrie, Liz Garton Scanlon and Tara. 1. Seek out other local authors. Kidlit authors are among the friendliest and most supportive colleagues a person could wish for. But how do you find them? Take advantage of social media. Someone in your network probably knows someone they can connect you with. Attend events at your local bookstore. Kidlit authors tend to turn out en masse for each others’ launch parties and panels, making the bookstore a great place to meet folks in person. 2. Connect with local booksellers. Speaking of bookstores, one of the first things I did upon moving to Austin was reach out to the children’s bookseller at local indie BookPeople. Along with another author who was also new to town, I set up a coffee meeting at the store--which I’d recommend if you and the bookseller have time, since it’s always nice to get to know each other in person! In this case, I wanted to make sure that the bookseller knew about both my already-published titles and my upcoming one, and that meeting even led to my partnering with the store for this preorder campaign for The Great Hibernation (Wendy Lamb Books/Random House, Sept. 12, 2017). Sometimes you can even set up a system for signing book orders on demand throughout the year, which is what I did with my local indie where I used to live in Colorado. But also, remember that it may take some time for a bookstore to warm up to you if you’re new in town or a debut author, and try not to be offended if they’re not suddenly stocking your entire back catalogue the day after you first introduce yourself. 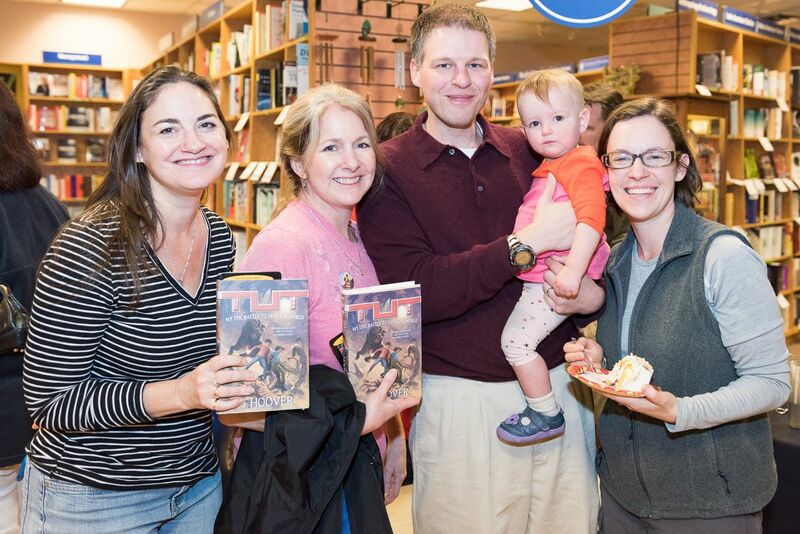 It may not be until after you’ve held a launch event there and brought in a nice crowd that a store will be willing to stock your titles regularly or recommend them. 3. Attend a conference (even if it’s on your own dime). One of the biggest perks of moving to Texas is its statewide network of librarians, who come together each year at the massive Texas Library Association conference. I sent myself this year so that I could participate in a kidlit “speed-dating” event, where I got to meet lots of librarians—and thanks to that, I’m now on the radar of the organizer for the “What’s New With Texas Authors?” panel, which I hope to participate in at next year’s conference. And it’s always smart to ask your publisher if they’ll send you; even if they won’t spring for all your travel expenses, they’ll usually at least set you up with a badge so you can attend sessions and wander the exhibit hall for free. Another conference I made sure to attend soon after moving to Texas was our Austin SCBWI conference. Even though I wasn’t presenting, it was a great way to meet local authors, get my books out in front of members at the bookstore and silent auction, and—most importantly—get inspired by all the amazing craft talks. If the stress of moving and/or debuting has put you into a writing rut, then attending a local creative conference can be a great way to jumpstart a new project. 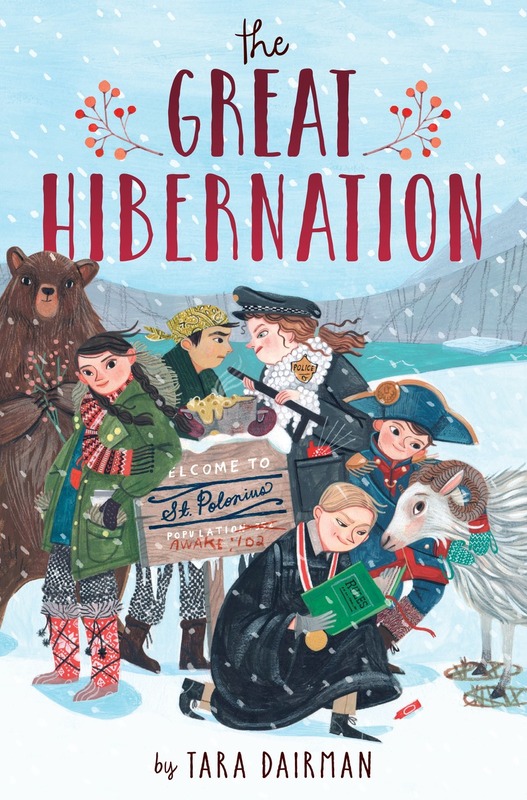 School Library Journal said The Great Hibernation "explores some rather important political ideas about individuality and the need for a balance of powers in governance. A strong selection for most middle grade shelves." 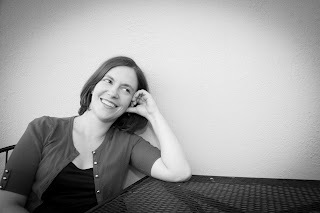 Tara Dairman is the author of the All Four Stars middle-grade foodie series (Penguin Random House)—the first of which was an Amazon Best Book of the Month and SCBWI Crystal Kite Award winner. She has a B.A. in Creative Writing from Dartmouth College and—thanks to an epic round-the-world honeymoon—has visited more than 90 countries. Great ideas! I'd also add introduce yourself to librarians and see if they have author programs and volunteer to speak at one. Also, some stores do Educator Nights for teachers so you can meet teachers who might ask you to speak at their school.